The energy revolution is happening. The Global 100% RE Campaign congratulates the 48 most vulnerable countries who today adopted the strongest declaration for Climate Action today. 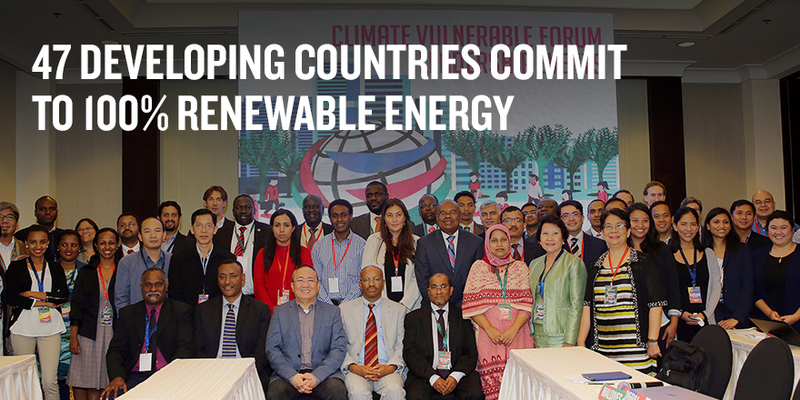 The Climate Vulnerable Forum (CVF) – a coalition of 47 countries from Asia, Africa, Caribbean, the Pacific and South America – declared in Marrakesh that they “strive to meet 100% domestic renewable energy production as rapidly as possible while working to end energy poverty, protect water and food security, taking into consideration national circumstances”. The Climate Conference in Marrakesh was announced by the Moroccan presidency as “a COP of Action”. And indeed, it is the most vulnerable countries of this planet who keep this promise, making the urgently needed step to go beyond current pathways. Climate Vulnerable Former-Forum Chair, H.E. Dr. Gemedo Dalle, Ministry of Environment, Forest and Climate Change said that climate action and decarbonization is set to boost CVF countries’ economies by creating jobs in the renewable energy sector. With this, developing countries lead the way from talking to action, showing that climate action does not limit development but it strengthens it. Ministers and heads of delegations of member countries convened today for the Forum’s 2016 High Level Meeting at the UN Climate Change Conference at Marrakech (UNFCCC COP22). The Forum adopted the Marrakech Communique and the Marrakech Vision. The Communique called for greater ambition emphasizing that any country with an NDC not yet compliant with its fair share consistent with the Paris Agreement’s long-term goal must update contributions by 2020 at the latest. It also called on honoring commitments, investing in climate finance and the need to transform market place. “We don’t know what countries are still waiting for to move towards net carbon neutrality and 100% renewable energy, all parties should start the transition, otherwise we will all suffer.” adds H.E. Mr. Edgar Gutierrez, Hon. Minister of Environment and Energy of Costa Rica, highlighting that meeting the 1.5C target requires an immediate sense of urgency from all parties. International leaders incl. the UNFCCC Secretary General Patricia Espinosa, Al Gore, Former US Vice President, Rachel Kyte, CEO of Sustainable Energy for All and Miguel Arias Canete, European Union Climate Action and Energy Commissioner welcome the CVF declaration. “The announcement today by 4 national governments to use renewables to meet all their energy needs demonstrates true commitment to the 1.5 degree target. This commitment can only accelerate the developments we are already seeing both in the market and investment sectors. Renewables are unstoppable!”, says Laura Williamson from REN21. 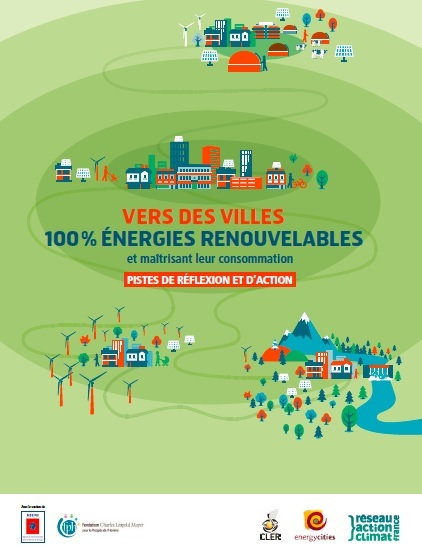 What does 100% RE mean for cities?